The definition of research I like is this: the discovery of new knowledge. It takes away the ‘scary factor’ that so many clinicians associate with medical research. I use this definition every day that I evaluate manuscripts submitted to Journal of Palliative Medicine for publication, or that I listen to presentations or view posters at a meeting, or when I’m speaking with a clinical colleague who wants to run a case by me. I ask myself if this represents the discovery of something new that will carry our field forward in its ability to help people. There is a pattern to the discovery of new knowledge. The critical first step is the power of observation—to see something that ‘doesn’t fit’ or ‘stands out’ as unusual, or needs a solution, or turned out unexpectedly well. The associated next step is to reflect on it and connect it to what else is known. Look back and see if this was observed in similar circumstances (chart review). Talk to others about it, read about it, and learn. If no one else has described it, write a letter to the editor. Try it in a few patients (a pilot trial). If it works, plan for a larger, definitive study that is well-controlled for confounding factors (a clinical trial). Several systems of defining levels of evidence have been promoted. The ‘best’ level is the result of a randomized, double-blind clinical trial. The ‘lowest’ or ‘worst’ level is expert opinion. The major mistake is to think ‘evidence-based medicine’ only means results of an RCT. By their very nature, the conclusions from most RCTs only pertain to patients like those in the trial. Some clinical questions don’t lend themselves to a randomized clinical trial. Consequently, it has been broadly observed that at least 90% of daily practice is influenced by expert opinion. Expert opinion is evidence—just evidence that, by its very nature, might be wrong. For example, I deeply remember the dictum in medical school that the prognosis for oliguric renal failure was improved if you used diuretics to make it nonoliguric. The chairman of medicine (God himself), and all of the chiefs of medicine (his acolytes) in the affiliated hospitals were all nephrologists. The word of God was unquestioned. Then, during fellowship 4 years later, the definitive randomized trial was published in New England Journal of Medicine— to no effect. Shocking? 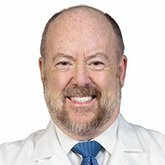 Well, what about the Halsted radical mastectomy for limited stage breast cancer? It was the gold standard for 80 years until clinical trials showed lumpectomy with radiation was equivalent for local control as well as survival. For our own field, how many of us learned to prescribe docusate (Colace) along with opioids to prevent constipation? Dr. Cicely Saunders herself was the source—and she learned that from her nurses. Then, the randomized clinical trial showed it was no better than placebo—only a stimulant laxative was helpful. In a very recent example of received wisdom in palliative care not standing up to rigorous study, a paper looking at the impact of placebo versus haloperidol or risperdone during terminal delirium found that the placebo group did better than either of the active treatment arms. Peer-reviewed scientific journals are the major means of disseminating newly discovered knowledge. It behooves every clinician to be looking for the results of new discoveries that should change our practice. In our field, which is young, we need dissemination of knowledge at all levels of discovery. I think of ‘letters to the editor’ as the place for those early observations of things that are novel, or troubling, or seem promising. “Brief Reports” are for those preliminary studies that may, or may not, pan out in the end but deserve to be known. Research reports are for the results of well-designed clinical studies that deserve confidence, and on whose results we should rely and be willing to change our practice. 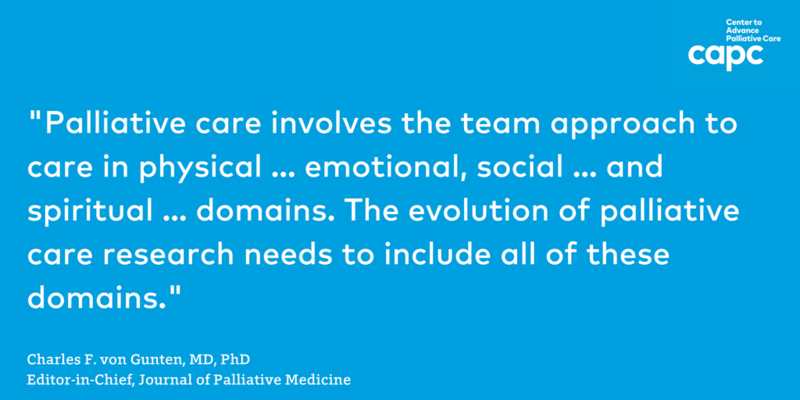 Palliative care involves the team approach to care in physical (such as symptoms), emotional, social (family and practical aspects,) and spiritual (sense of meaning and value and purpose) domains. The evolution of palliative care research needs to include all of these domains. It shouldn’t be a surprise that the methods of investigation would differ. A journal serving the field needs to disseminate knowledge, including the controversies, about these areas. That means that we must be open to new methods of inquiry and study. The greatest area that is almost terra incognita is the area of spiritual care. There are lots of opinions, but very little data, and even less clinical trial information about how best to provide spiritual care. Yet, most patients say it is as important as their physical care. Yikes! The best standard we have of judging whether new knowledge is worth disseminating is peer review. Others of similar background evaluate the work and give an opinion about its merits. The editors of scientific journals (like me) generally take peer reviewer advice in making publication decisions. An important element is sometimes missed: those decisions can be appealed. I encourage authors who feel that their point was missed, or that the peer reviewers (or I) are wrong, to write me and rebut the reviews and ask for additional consideration. This extends to word limits or other parameters of publication. Part of discovering new knowledge is to have the pioneer spirit that pushes on despite opposition. That may mean submitting to many journals until one will publish your information. With luck, it is strengthened by all the peer review. If you have information that you think needs dissemination but doesn’t ‘fit’ in a category, advocate with the editor directly! The evidence base for our field will only grow stronger if we cultivate a broad spirit of inquiry—of questioning ‘why’? Why do we do it this way? Is there a better way? What if we did it this way, could we see what happens? The alternative is a stultifying attitude of ‘we have always done it this way; do as you are told;’ in which case we won’t get any better. As I review our progress over the past 50 years, it started with a nurse turned social worker turned doctor who wondered if the care of the dying couldn’t be better—and set about doing the research to find the better way. Bal Mount, the Canadian urological surgeon, wondered what would happen if he took the care he saw Saunders demonstrate at St. Christopher’s Hospice and made it available in the Royal Victoria Hospital in Montreal. He found that what we learned caring for the dying in an inpatient free-standing hospice not only works well in a tertiary care academic hospital, but in some cases, it works better! And there we have it: the roots of the new field of palliative care from basic medical research. We should all take great pleasure in the evolution of research in our field. Our scientific literature runs the gamut, as it should, from case studies to controlled studies to randomized clinical trials. Of the published research, 1/3 of the researchers receive competitive funding (very very competitive) from one of the National Institutes of Healthi. Even better, our best studies now appear in the world’s most prestigious, high impact, journals like the New England Journal of Medicine, Journal of the American Medical Association, The Lancet, and the British Medical Journal. Even more profoundly, results of our published research, including from our own specialty journals, are reported in the mainstream news like the Wall Street Journal, The New York Times, The Washington Post, and Atlantic Monthly! This is because our field is now of broad interest and importance to the public at large, including policy makers and captains of industry. P. Gelfman and R. Sean Morrison. Journal of Palliative Medicine. January 2008, 11(1): 36-43. doi:10.1089/jpm.2006.0231.